Our Croydon Chiropractic Clinics are devoted to providing the most effective alternative non-invasive manual therapies available. Our training and experience gained through accredited University degree’s at the highest level help us help patients recover in the safest way possible. Our clinicians work together, sharing ideas and embrace all health professions to achieve a well rounded approach to patient care. All of our chiropractors, Osteopaths, Physiotherapists and exercise physiologists have gained acceptance through registration with their respective governing bodies after successful completion of a government approved undergraduate degree program. 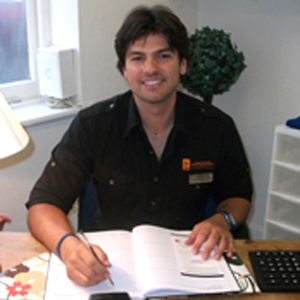 What makes our Croydon chiropractic clinic different is that we have experienced life on the other side of treatment. We simulate patient delivery of care by each health professional through in-house training and place high emphasis on client satisfaction. We hear and know that some patients have been down a long road to get to see us and we try our best to make them feel at ease. We know how important it is to listen and naturally we are extremely supportive in any way possible to travel with our patients on the road to recovery and optimal personal health. Our practitioners are wide-ranging from different cultural backgrounds and with different personalities and interests. We work together in the interests of our patients. Our international chiropractic and sports injury clinics are here to help. We will listen, understand and deliver the best possible action plan for you in the safest, most time effective way possible. We look forward to seeing you at one of our international chiropractic and sports injury clinics in Croydon and Australia.